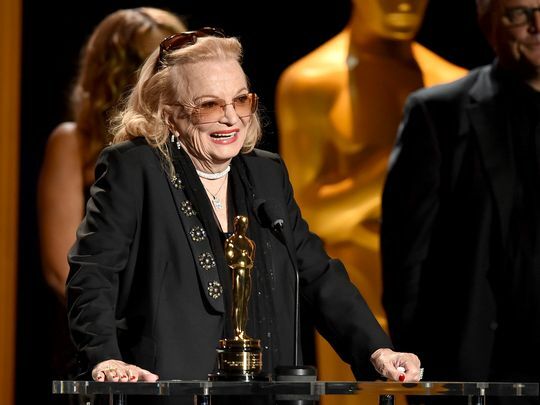 Gena Rowlands is one of the greatest living screen actresses, and the core of her best work is a series of films she did with her husband, writer and director John Cassavetes. 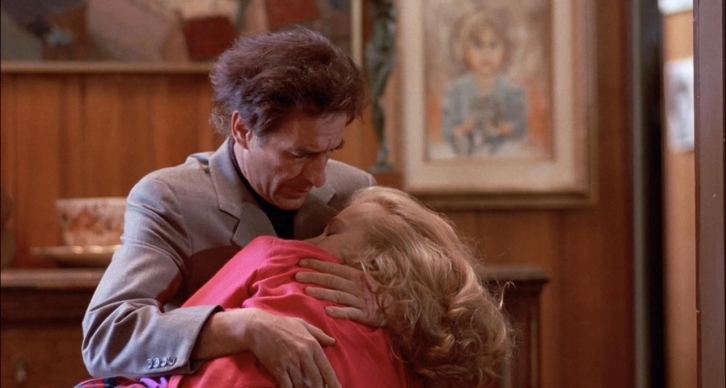 The Metrograph will be hosting "Cassavetes / Rowlands" from July 15-24 (Click here for more information). We spoke to Rowlands, now 86, about her work with Cassavetes, her philosophy of film acting, the state of modern cinema, and more. If it were possible to take in the totality of all the films you’ve acted in, where would you rank the movies you did with John? Let’s see—how many of my movies with John are they showing? 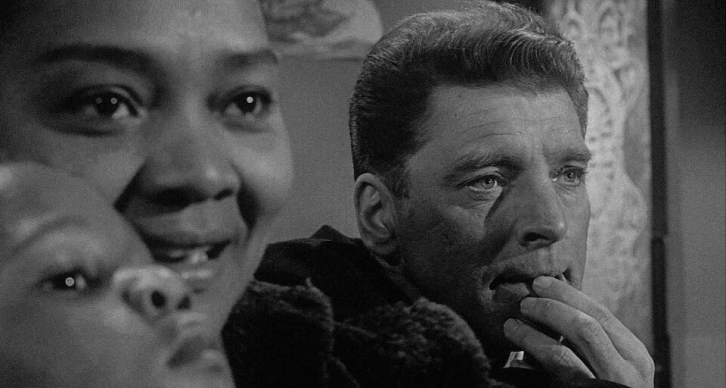 The Metrograph theater is showing twelve that you did together: “Opening Night,” "Husbands," “A Woman Under the Influence,” “Gloria,” “A Child is Waiting,” "Minnie and Moskowitz,” “Too Late Blues,” “The Killing of a Chinese Bookie," “Love Streams,” "Shadows," "Faces" and "Big Trouble." Well, why don’t we just say those are my top twelve? Really, though: those are the top ones for me. Because there’s nothing like working for John! Everybody loved it. It was not like working for anybody else, even though everybody else there were a lot of terrific talented people who had their own way of doing it. The freedom that John gave his actors was astounding. You know, none of it was improvised after “Shadows,” even though “Shadows” was entirely improvised. People got that idea that the rest of his pictures after that were improvised. They weren’t. They were all written. But of course, there was always room for improvisation if the actor felt something, thought something. A lot of the time it wasn’t necessary, though. John was always thinking a great deal ahead of us. He loved and adored actors. Why do you think people have the misperception that in John Cassavetes movies, the actors are just making up dialogue on the spot and the director is just pointing a camera at them as they do it? You probably know that there have been certain directors have made films that way. Some of them even cited Cassavetes as an inspiration, even though, as you say, he only did it like that on his very first movie. I think it’s a good thought. It’s just not a totally accurate thought. John did give the impression that it was spontaneous, that people were just making it all up. His pictures did look improvised. I think it’s because he gave the actors so much freedom. He gave them so much freedom that it felt like it was all happening around you, not like you were making a movie. So if other people have used that particular style of working and cited John, I’m very pleased, because it means that what we were trying to do—make it look like it was all happening right in front of the audience—came off. We don’t have much time, so I doubt we can cover them all, but I did want to ask you about a few of the films they’re showing at the Metrograph—your impressions of them, your memories of working on them. Well, I thought we could start with “Opening Night”? I love that one. That’s the portrait of an actress who is faced with getting older and facing a lot of things people getting older are faced with. But she doesn’t feel you should be shot when you turn fifty or something, which is something I certainly agree with. So she gets in a lot of discussions with friends and it’s really complicated because the person the writer in the movie has written a very bitter, morbid play about age, and when I hesitate to do it and say to her that it’s morbid, she says “Don’t worry, we’ll fix anything you have a problem with,” and I fall for it, and then she won’t change a thing, and I go around to all my friends complaining that I’m not gonna do it. And my friends say "You have to do it, it's in your contract," and then I start to drink heavily because everyone seems to be agreeing with the writer and not me, and I start to wonder if that’s because the play is really about me and I’m just in denial. In the end, I talk my leading man into going out on stage with me and ad libbing the entire thing, and so the show does go on, but without a single world she’s written. It’s a comedy now, the audience adores it and everyone applauds. It’s great. It’s interesting that at the end of the film, your actress character does the very thing that you and John knew you were never actually doing when you made these films, which was making it all up on the spot! What about “Gloria”? The ads sold it as an action film. Yes, that’s why I went to see it as a kid. I think they took every shot in the movie where you had a gun and put it in the trailer. Hah! Yes, that’s what they do. But it turned out to be more of a relationship movie about your character, a gangster’s moll, and this little boy she has to protect, the son of a murdered mob accountant. You know, I consider “Gloria” a comedy. A gangster comedy. It wasn’t actually written for me, it was written for another actress, but her audience wanted a more glamorous story, and then somebody at the studio said, “Maybe John will direct it.” John was much more serious than I was, I said “No, I doubt he’ll want to do this.” But then he did it, and I was very happy to see what I considered a comedy looming in front of my eyes. I talked John into directing it the movie, we did it, and I had a great time shooting people and dodging people and running after taxis. I joked about them putting every shot of you with a gun in the trailer, but there really was quite a bit of violent action in that film, as least compared to the sorts of films you were doing around that time. You’re telling me. Every scene was written with me running somehow. Ungaro did some of the costumes—you know, he’s Emanuel Ungaro in Europe where he lives, but Ungaro, that’s what we call him. There was one scene at beginning where they’re gonna shoot the boy and me, and I had to swoop off all the costumes that I could wear in the rest of the movie, and they were all hanging on a big rack, and so I could only do it with one hand. We were running, and I had a cat, and I couldn’t get the cat to run with us. And I grabbed these costumes with one hand. How did you do that in the kinds of clothes you were wearing in that film, and the shoes? Ungaro is a wonderful, wonderful costumer or designer for anybody. He made that skirt I had to run in with high heels in that scene look straight, yet somehow he had worked five little tiny pleats into the back of it, in the hemline. The shoes did give me a little problem, though. I ran through three pairs of those high-heeled sandals! That was my favorite movie. I loved doing that movie. I loved it because I loved working with Peter Falk, I loved the mix of comedy in it, that was sort of real comedy. The film was about a woman who was obsessed with the love of her husband, for her husband. And he was a regular guy, worked for the city, had to do his work at night, or in daytime when there was a call for it. She plans so heavily for a romantic night, gets her mother to take her children over to her house, gets house in tiptop shape—she was a woman who was really obsessed. Then he got a call that the water line had broken and had to call her and say that he couldn’t come home later, and then he came back the next morning with all of his friends, and she was very happy to see him to offer them all breakfast, but mostly because she wanted to please him always, and she offers to make them spaghetti. Do you remember that scene? Yes, I remember the spaghetti scene. Everybody remembers that scene, it was a great scene. It’s so wonderful to do a scene like that, where it feels so true. You can tell a lot about her in that scene. You see that everything she did was to please him. I also liked the fact that in that film, I was a little wacko, but my husband understood that and he loved me, and it didn’t bother him that I was as strange as I could be. When I have this terrible breakdown and have to go away for a while, leave him and my children, oh—that’s a hard scene. We’re showing a hard moment in a person’s life, a terribly hard moment. Then she comes back and they try to make it easy for her as possible. It’s just so good, all the scenes. You mentioned one scene that was painful to play. Were there others? The scene where I had the trouble with him and he knocked me off the sofa, which seemed like a very unloving thing to do, except that he knew me so well, and he knew I was about to break down again, so he shocked me out of it. And then we get back to normal again. He bandages my hand, does all these little physical things that don’t seem like a whole lot, but they are a big part of their relationship. They are their relationship, those gestures. That’s what a relationship is. There was just were so many places to go for the actors in that film, so many changes to make in that film, so many things to do that gave you a lot of satisfaction.. It also paints an unusually mundane portrait of mental illness. Most movies with a mentally ill character end with violence. A lot of times somebody dies. This movie doesn’t end that way. It’s more of a “life goes on” ending, and you get the sense that this kind of thing has happened before and might happen again, and they’re just going to deal with it as it comes up. Well, that’s true to life. You get to see another side of Peter Falk, too, at a point in his career where a lot of filmmakers were casting him as the eccentric one, the wild one, the troublemaker. He gets to be the immovable object in this, and you’re the irresistible force. Yes, and he appreciated that. He’s so great in the movie! His patience with me, too, his love of me … it’s great to see him as a husband, a regular guy who hasn’t been brought up with somebody acting crazy, somebody that you had to watch out for, but who learns to adapt because he loves his wife. I thought that was very touching. Oh! We were just watching that movie when you called, with the commentary on. I don’t know what to say about the shooting of it right now because I’m so fascinated by this commentary by this writer, Michael Ventura, do you know him? As a matter of fact, I do. I’m not friends with him, but he’s a great writer, been at L.A. Weekly for a long time. Well, he comments on the entire thing and tells all these stories, and points out many, many things that I didn’t know. I didn’t know that when we were making this movie, the doctor had told John that he was gonna die within five months. I knew that John looked ill, but he also looked handsome and wonderful. And he didn’t die for five years after that! I was very moved by the script, by Judy and Burt, who were interesting people to work with. But it was the story of my character that appealed to me, the idea a mother could seem to be not paying attention, as if she wasn’t giving the kind of attention to her child, neglectful in a way, but in fact was mostly afraid to give that kind of love and attention to him, because what would he do after she died? And what would he expect, and how we they treat him? So she decided to just treat him normally. We made that one a long time ago. I haven’t thought about it for a long time! The film was groundbreaking for its use of people with actual disabilities playing people with disabilities, as opposed to having professional actors come in and try to approximate their condition. There was a lot fuss about that at the time. Some people thought it was not right, John, of course, thought that it was exactly right, that they could be artists, that they understood what they were doing, and they’d give good performances because they would have nothing to hide. I think I have to go soon, they’re telling me that we have to do another interview after this! And I apologize for my voice, it’s a croak. The next poor guy I talk to might not be able to understand me at all! Well, I’m lucky I got to you first today, then. Do you ever carry a character home with you after shooting? Or are you more of a Lawrence Olivier-type who can just say the lines, go home, eat dinner, go to bed, and start up the next day? You can’t help but think about some of the characters when you aren’t shooting. But there are also moments when you’re shooting where you think about your own life, too. It’s a little bit both ways, I think. I wonder, does the line between you and your character ever get blurred? I mean, you’re playing characters in these films that are written by your husband. I have to assume at least some of the material is drawn from your lives together, or maybe from things you talked about? It would be a very natural thing for that to happen, but I always feel like, when I’m working with John, the character that I’m playing is the character I’m playing. Yes, you do get so wrapped up in it that you do identify with the character sometimes. But there was never anything where I thought, “Oh—I did that, once, that’s where John got it from.” Which is something you would think would happen all the time in situations like that! They didn’t. All the characters seemed very separate to me. Never happened. And I don’t think he would’ve done that. It wasn’t his style. I certainly was perfectly willing to do his scripts, because they were so honest. I just loved his scripts. I thought he was a marvelous writer. He was a marvelous actor too, and a marvelous director. He was just a really talented guy. Do you go to the movies or watch contemporary television, and if so, what have you seen recently that you liked? I haven’t gone to the movies much in recent years because I haven’t liked movies much recently. They don’t seem to be about anything in particular anymore. It seems to me they save their bad pictures for summertime, or at least the ones I don’t want to see. But when we go down to the desert, Bob and I—we have a place in Indian Wells, and my husband plays golf a lot—I go to movies with my friends down there. Somehow it seems to me they play all the good movies. You just received an Honorary Oscar earlier this year. What was that experience like? It was in LA, at the Dolby Theater. The thing I do remember is, they gave me that nice Oscar and at the end of my speech I tried to be funny and said, “This guy’s good-looking, I think I’m gonna take him home with me.” But he was so heavy, I was down on my knees in four seconds! I said, ‘Nick!’—my son who had helped me up onstage, he was standing over there behind something. I said, ‘Nick, I need help here.’ I couldn’t have picked that thing up if he hadn’t been there. I put it in my house, right in the cantina, we call it, where we have pictures of all the stuff I’ve done. All of my friends are in it. I put the Oscar kind of – well, I didn’t do it, my present husband, Bob Forrest, took it and put it in the center of a round table that’s in there, so you see it immediately as you walk in. And of course everyone walks in and says “Hey, this is your Oscar!” And they all try to pick it up, and they go right to the floor! My father, who’s a 73-year old jazz musician, said that when you get to a certain age, people start giving you awards because you’re still alive. [Laughs] Your father is right! I didn’t start getting awards until I got really, really quite old. He’s quite right about that, and he should expect many more! You’re going to keep acting, though, right? I’ve devoted most of my life to acting. Of course if something stunningly wonderful comes up that I can’t resist, I’ll change my mind, but I don’t see too much of that around these days. When did it happen? The disenchantment? Did it start in the ‘70s and ‘80s when it seemed like everybody was trying to top the original “Star Wars”? They kind of still are. Maybe? I don’t know. I suppose always had certain types of films that…Well, I guess you could say I always had "favorites" and "non-favorites." Let’s put it that way! But when the studios got into monster kind of movies, people coming from outer space—well, those were kind of interesting if they had an unusual point of view. But the problem was, a lot of them didn’t. And it seems like that’s a lot of what’s in theaters now, especially in the summer. I really like pictures about real people and their problems, how they solve it and get out of it. You do a lot of these retrospective showings. Do you enjoy them? I do, very much. Mainly because of the questions I get from the audience. I look forward to the questions. What do people ask you? I get a lot of questions about John and how he started doing films. Independent films. A lot of the people asking these questions are young people who are interested in doing their own films. I like knowing that there are people out there who admire the work we did together, and still consider John an example of how this can be done. And he still is. He still is an example. 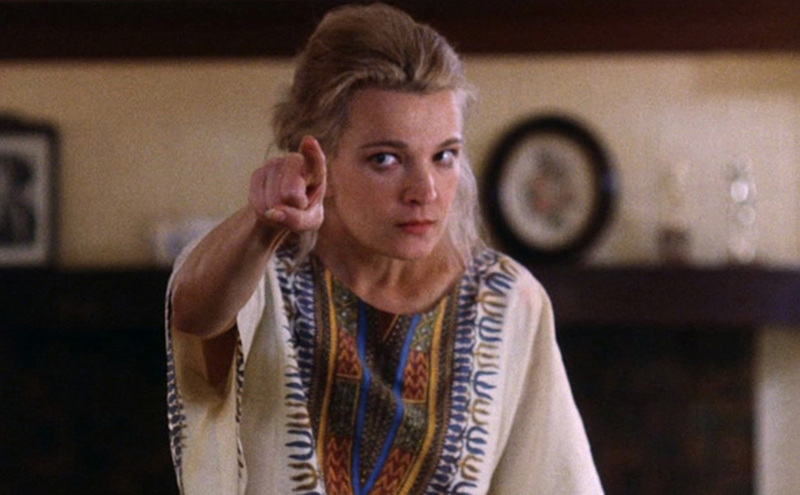 The Metrograph will be hosting "Cassavetes / Rowlands" from July 15-24. Click here for more information.